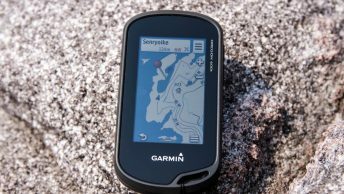 Knowing your limits, keeping safe and out of harm’s way should be your number one priority when hitting the mountain trails and a big part of this is being able to read Japanese maps. While maps, signs and trail markers occasionally include English translations the vast majority don’t. Learning kanji doesn’t come easy for most of us so a good option is to specialise in a particular interest such as geography and mountain terminology. Eking out a good smattering of hiking kanji won’t go to waste and likely make your life easier especially when relying on your own intuitions. To help you in this quest I have brought together a glossary of key descriptions found on Japanese hiking maps along with associated topographic landforms and features. In an earlier post I suggested getting your hands on a copy of the ‘Okutama Nature Information Map’ which provides a comprehensive overview of the Chichibu Tama Kai National Park 秩父多摩甲斐国立公園 and surrounding areas. The Tokyo Metropolitan Government – Bureau of Environment publishes a series of detailed 1:25,000 topographic maps which although primarily concern The Kanto Fureai Trail 関東ふれあいのみち are a useful accompaniment to many areas of the Chichibu Tama Kai NP. Specific map sections of the Fureai Trail are available here here. Another option are the 1:25,000 topographic maps issued through the Geospatial Information Authority of Japan which have a good coverage of the Kanto region though perhaps a tad unnecessary. Their website I recently discovered provides free access to their entire Japan 1:25,000 map series click here. The most popular 1:50,000 maps are Shobunsha’s annually updated Yama-to-Kogen 山と高原地図 series which are available through large book retailers, outdoor shops and Amazon. A couple of the more interesting trail markers include the 指導標 shidou-hyo and 里程標 retei-hyo. The shidou-hyo or guide posts comprise a numerical series of marked posts along the mountain trail equidistant to each other allowing you to gage your walking pace and correspond to specific locations on a 1:25,000 topographic map. Presumably in situations where hikers find themselves in trouble these markers can allow others to pinpoint their exact location. The retei-hyo or mile-posts look like ceremonial plates often affixed to stone and are located along some walks such as the The Kanto Fureai Trail. Thanks for sharing this very useful information. From my perspective, the best maps I’ve found are the 1:15000 scale maps by Masuo Moriya and published by Kobito (www.kobito.co.jp) These are probably the closest I’ve found to the UK’s OS maps in terms of accuracy, detail and overall usefulness. Paths are accurately mapped, including signpost positions so it’s possible to navigate extremely precisely using dead reckoning. The level of detail is impressive without being too cluttered and the topographic information appears accurate. The map grid is already adjusted for the appropriate magnetic declination which greatly simplifies taking and walking to compass bearings. They are also printed on waterproof/tear-proof paper. The downside is that the series doesn’t appear to cover the whole country. However if you can get hold of a copy covering your intended route, I’d heartily recommend it. Japan’s online GS map portal is excellent (http://maps.gsi.go.jp) allowing you to zoom in to very close detail. When planning a trip, I normally cross-reference my paper map with the online version to compare details and see if there is any additional useful information. However a word of caution – some of the online maps are now quite old and I’ve often found discrepancies between the marked paths and reality. Nevertheless, a very useful – and free – resource. Thankyou so much for this, i have always wanted to create flash cards but never had the time to collect this information myself!